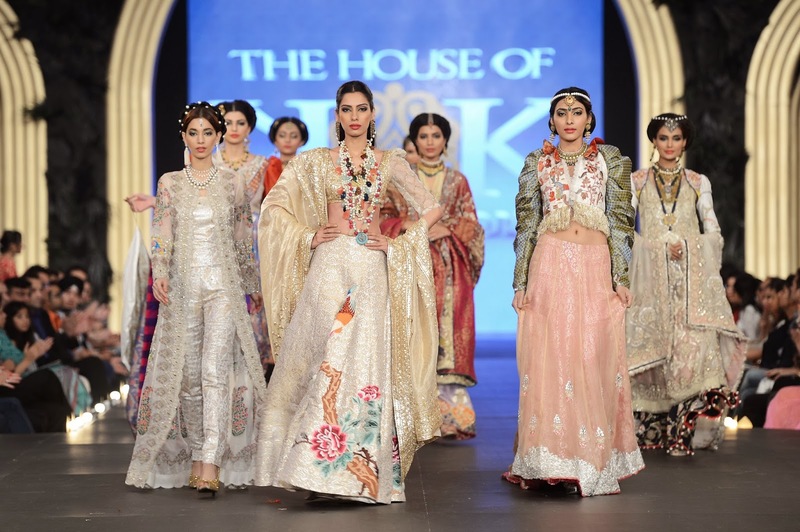 The House of Kamiar Rokni brings “The Orientalist” to Ensemble's trunk show in Karachi! [Lahore: 21st October 2013] The House of Kamiar Rokni are bringing their critically acclaimed bridal collection, recently showcased at the prestigious PFDC L’Oreal Paris Bridal Week, to Ensemble at an exclusive trunk show on October 24th 2013. Titled ‘The Orientalist’ and as the name suggests, the collection is inspired by the glory and fascination that captivated the West when they first encountered the exotic East. As its core design ethos, The Orientalist captures art, culture and imagination with each creation a celebration of the merging and blending of creative art and heritage from around the world. Hot off the ramp, each Orientalist creation draws from traditional, regional and global embellishments and silhouettes bringing them together to form a bridal signature from The House of Kamiar Rokni. Expect cuts that vary in length, volume and diversity, fabrics that are sheer with diaphanous textures that compliment otherwise bold forms, silhouettes that integrate layering with variations in the sleeve and structured jackets, all of which work together to reinvent the classic bride for the modern era. The collection celebrates fabrics created from regionally indigenous textiles and to that end is based in a selection of hand-woven silks, organzas, jamavars, chiffons and nets, in an eclectic mix of vibrant colours for which The House of Kamiar Rokni has come to be renown. Speaking about their collection design trio at The House of Kamiar Rokni, Tia Noon, Rehan Bashir said Kamiar Rokni said: “The Orientalist is a manifestation and interpretation both of our shared seraiki heritage and diverse backgrounds. Tia's unique mix of Punjabi, Tajik, English and Memon traditions present themselves in this collection, while Kamiar's warrior Rajput and rich Persian heritage blends delicately with Rehan's Kashmiri influences to introduce a collection that exults in intricate craftsmanship, detail, colour and an aesthetic that is both uncompromising in its classicism and unwavering in its quality." 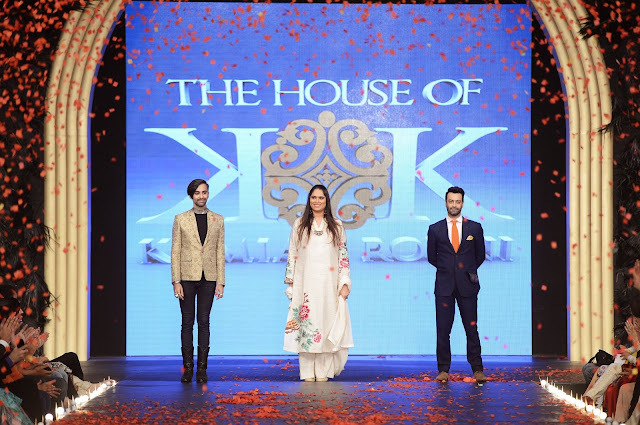 The 3 pillars of the House of Kamiar Rokni; Kamiar Rokni, Tia Noon and Rehan Bashir are the powerhouses behind the premier designer label. They hail from quintessentially aristocratic families that are symbolic of an old world charm and traditional heritage. The trio’s diverse backgrounds shines through the label’s clothing representing a seamless amalgamation of a combined history and cultural diversity that the three have inherited. The brand strives to provide an immaculate essence of style in all their creations, designing signature one of a kind pieces that evoke a sense of individuality and elegance in the people that wear them. The Houses’ core philosophy is to embrace art, culture and imagination in their fashion. 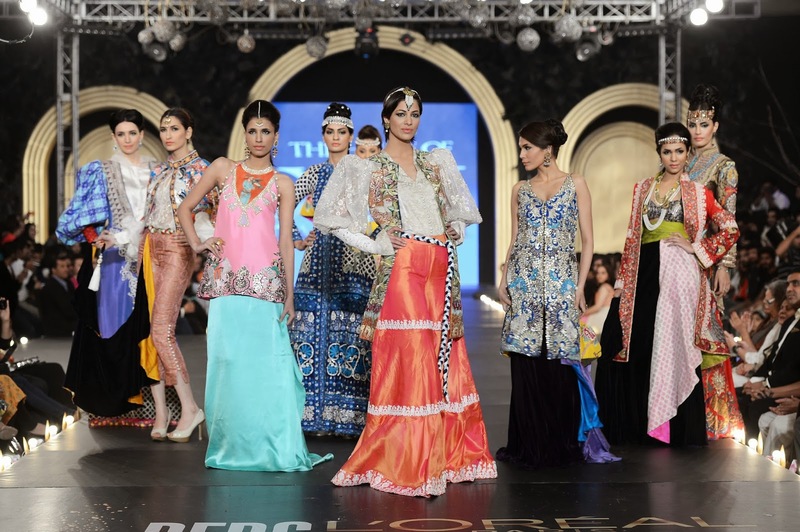 The luxury label’s prêt-à-porter and Haute Couture collections have consistently hit the runways in Karachi, Islamabad and Lahore in Pakistan to critical acclaim. Internationally, the fashion house has showcased in Paris at the Prêt-à-porter Feminine and at Mauritius Fashion Week. The label has had the much coveted honour of having been nominated for the Lux Style Awards consistently since 2008 in the Best Prêt Wear and Best Couture Designer categories respectively and won the Lux Style Award in 2012 for Luxury Prêt. The House was also awarded the first ever Libas Heritage Award at the PFDC Sunsilk Fashion Week for their inspired approach of turning traditional craft into contemporary fashion. This is the first time the label showcased their bridal couture at the prestigious PFDC L’Oreal Paris Bridal Week platform and will be avail to view and order at the Ensemble trunk show in Karachi on October 24th 2013.